It’s been way too long since we’ve done a giveaway! And what better to give to our beloved readers than some vintage goodness for the kitchen? 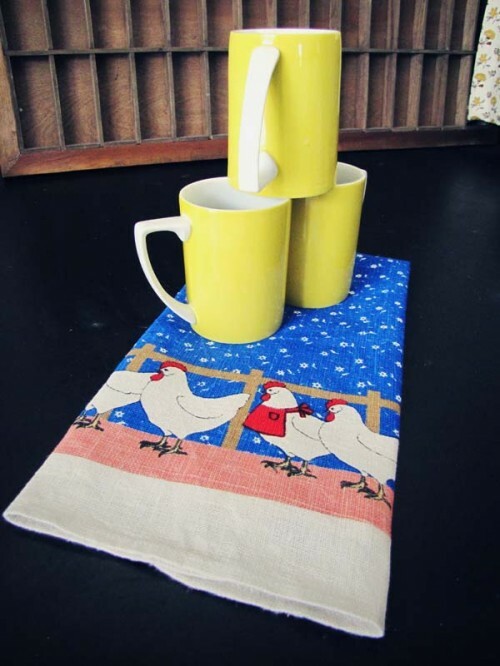 We are giving away 3 vintage yellow and white coffee cups and 1 brightly colored vintage tea towel. 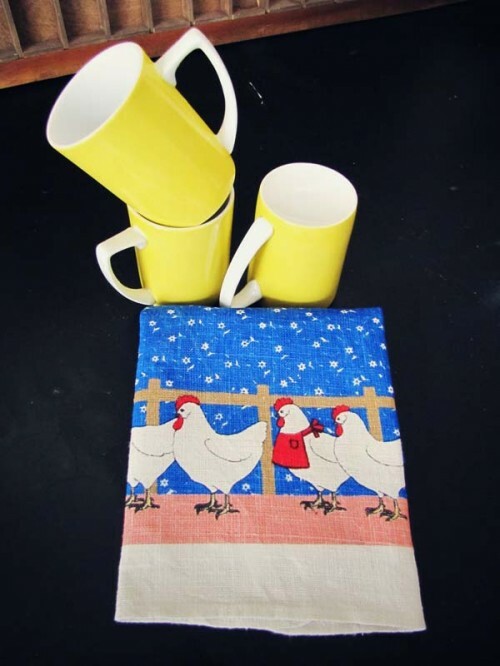 The towel has cute farm birds (and one is wearing an apron – eeek! ), and a cute floral pattern. Wouldn’t you just LOVE to have these in your adorable kitchen? This giveaway will have 1 winner. To enter: Leave a comment on this post (one comment per person). 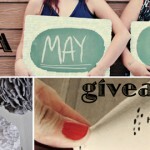 We will pick one winner at random on Sunday September 25th, 2011 at 9:00 p.m. MST. This giveaway is open to U.S. residents only. 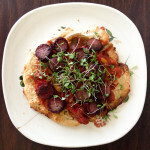 Thanks for entering our giveaway, and thanks for coming to our blog! You might notice some changes that we made to our blog on the sidebar and a few other places – we LOVE how it looks, and we really have to thank Tristan (Stephanie May’s husband) for making all of the changes. He’s really a talented bloke:) We also did a new “About” section, so be sure to read! Thanks for reading and commenting on all of our posts – we really love all of your comments and read every. single. one. Pick me!!!!! I love you two! I love the blog changes, nice job! Adorable! Plus you can never have too many coffee cups! I NEED those yellow cups cause all my mugs keep breaking! ;) plus, I’m a sister! I’ve literally been watching every day for the new blog look to come :) Love you ladies! I love, love, love vintage items. Yellow is one of my favorite colors and the tea towel is too adorable. This is a cute giveaway, please enter me, I love the colors and the cute chickens! Oh!! I would just LOVE to win the vintage towel and coffee cups!!! My grandma had ALOT of the vintage towels!! And,I love the bright yellow coffee cups!!!! Ohhhhh I love these!! I have a coffee mug fetish….thank you so much for a chance to win! I adore those cups and the towel is cute too. I am about to move and will need some items for my apartment, so thanks for the chance to win these great pieces. I really need kitchen towels and coffee cups PLEAS pick me! 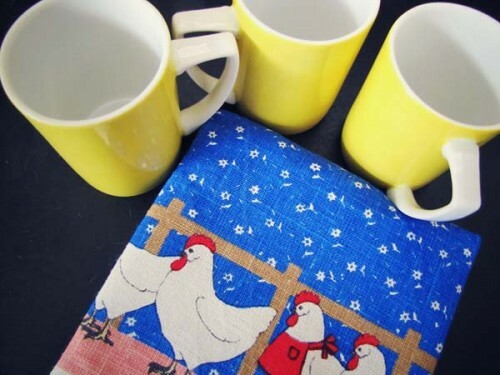 I love the yellow and white coffee mugs and your vintage tea towel,it reminds me of when I was young going to my grandparents house my grandmother had a similar coffe mugs and that adorable tea towel.I said to myself someday I’ll have the same. Cute I hope I win. It would match my kitchen. I love the set.It is really cute.My husband could use some new coffee cups.I could really use the hand towels. those coffee cups look really old,are they from the 50,s? my sister would really love them,and the towel too of course.thankyou and have a nice day. Very nice! They would look great in my kitchen! One of my besties just adores anything yellow…she would be quite excited…a little bit of joy in a cuppa! This is a great giveaway! Love the mugs! I love the bright yellow cups!!! What a happy way to start the morning!!! Gorgeous! :) Thanks for the giveaway! very cute. The chickens would feel right at home in my country kitchen! Love the yellow cups. They would look great in our kitchen. This reminds me soooo much of my grandma’s kitchen/porch dining….. sitting outside with her during spring time having coffee (tea for me) and little slices of pound cake :) would love to have these in my kitchen……. there really cute, i love the yellow! Ooh I love the lemon-y colored cups so much! Vintage giveaways are the best. 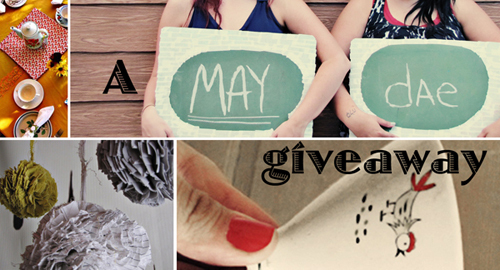 This giveaway is adorable!!! I would love to win it for my sister! I just found you two and have enjoyed what I’ve seen and read. I actually have never read any blog before this evening. . Thanks for the chance to win something, too! Those would go great in my kitchen! These would look so cute in my kitchen! I just finally moved into an apt with a good-sized kitchen and I would love to display these in the hutch. So bright and cheerful!